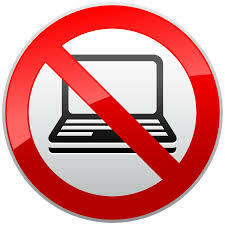 Scientific American discusses new research that "suggests that laptops do not enhance classroom learning, and in fact students would be better off leaving their laptops in the dorm during class." From the report: Although computer use during class may create the illusion of enhanced engagement with course content, it more often reflects engagement with social media, YouTube videos, instant messaging, and other nonacademic content. This self-inflicted distraction comes at a cost, as students are spending up to one-third of valuable (and costly) class time zoned out, and the longer they are online the more their grades tend to suffer. To understand how students are using computers during class and the impact it has on learning, Susan Ravizza and colleagues took the unique approach of asking students to voluntarily login to a proxy server at the start of each class, with the understanding that their internet use (including the sites they visited) would be tracked. Participants were required to login for at least half of the 15 class periods, though they were not required to use the internet in any way once they logged in to the server. Researchers were able to track the internet use and academic performance of 84 students across the semester. Participants spent almost 40 minutes out of every 100-minute class period using the internet for nonacademic purposes, including social media, checking email, shopping, reading the news, chatting, watching videos, and playing games. This nonacademic use was negatively associated with final exam scores, such that students with higher use tended to score lower on the exam. Social media sites were the most-frequently visited sites during class, and importantly these sites, along with online video sites, proved to be the most disruptive with respect to academic outcomes. In contrast with their heavy nonacademic internet use, students spent less than 5 minutes on average using the internet for class-related purposes (e.g., accessing the syllabus, reviewing course-related slides or supplemental materials, searching for content related to the lecture). Given the relatively small amount of time students spent on academic internet use, it is not surprising that academic internet use was unrelated to course performance. Thus students who brought their laptops to class to view online course-related materials did not actually spend much time doing so, and furthermore showed no benefit of having access to those materials in class.